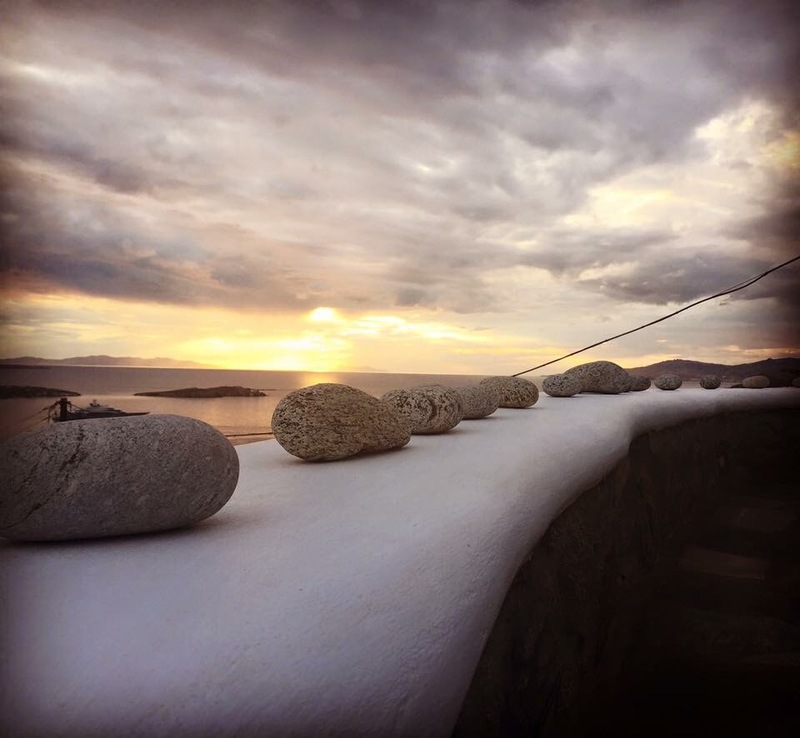 Greece is one of my favourite places in the world (so far). With over 6000 islands to choose from its no surprise it took me a while to decide where to explore. 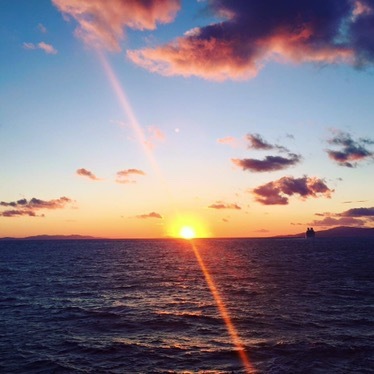 It is usually best to keep to one group of islands at a time, unless you have the whole Summer to hop – what a dream that would be! 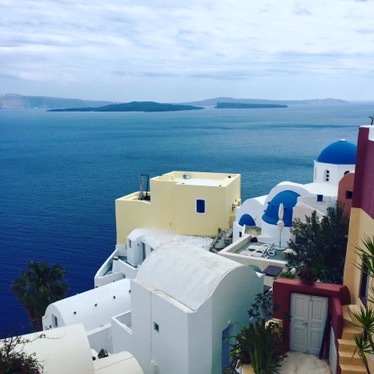 I only had two weeks, so I chose the Cyclades, with some of the most stunning islands also making them the most popular to explore. 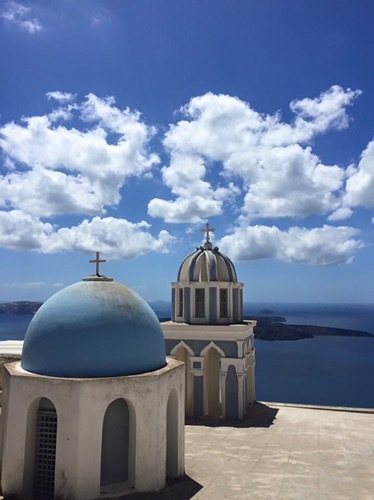 First stop beautiful Santorini. 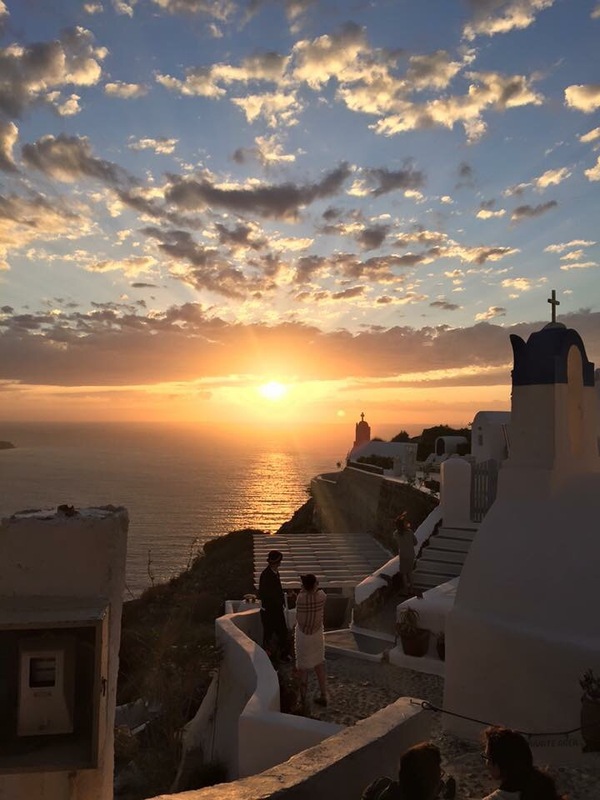 I booked to stay in Oia, the sunsets here are ranked amongst the best in the world and you can see for yourself how amazingly stunning it is here. 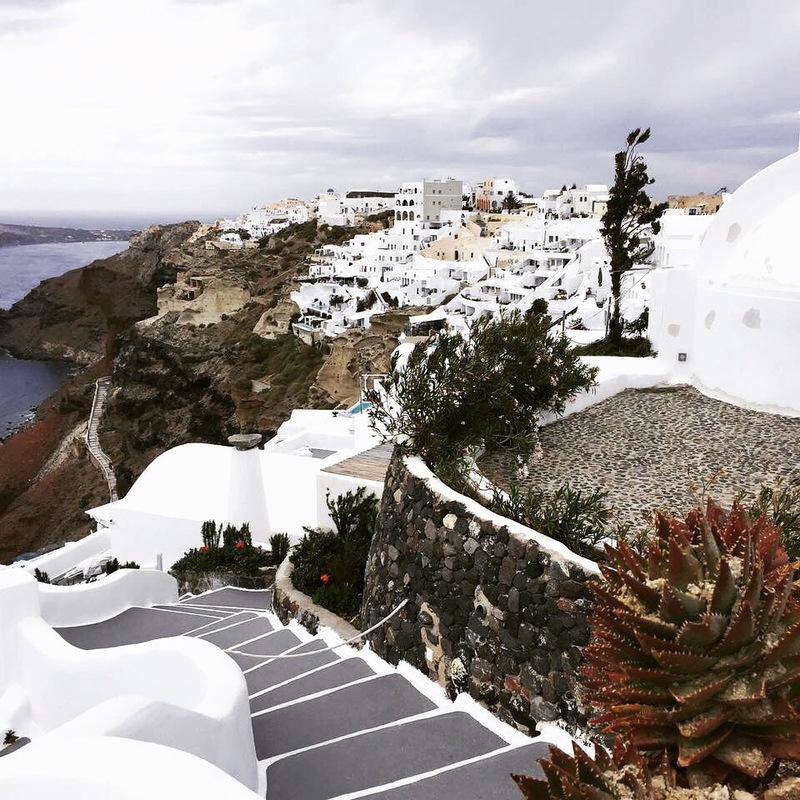 My accommodation was perfectly placed with views over the North East of the island and a 5 minute walk into Oia village. I would recommend visiting here early in the season as it does get very busy! Alternatively an early start to avoid the tourist rush is another way to beat the crowds. 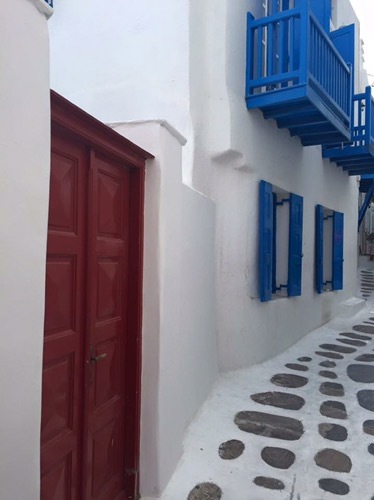 Must do’s in Santorini are to explore Oia village and its picturesque white buildings, which cling to the side of the island. 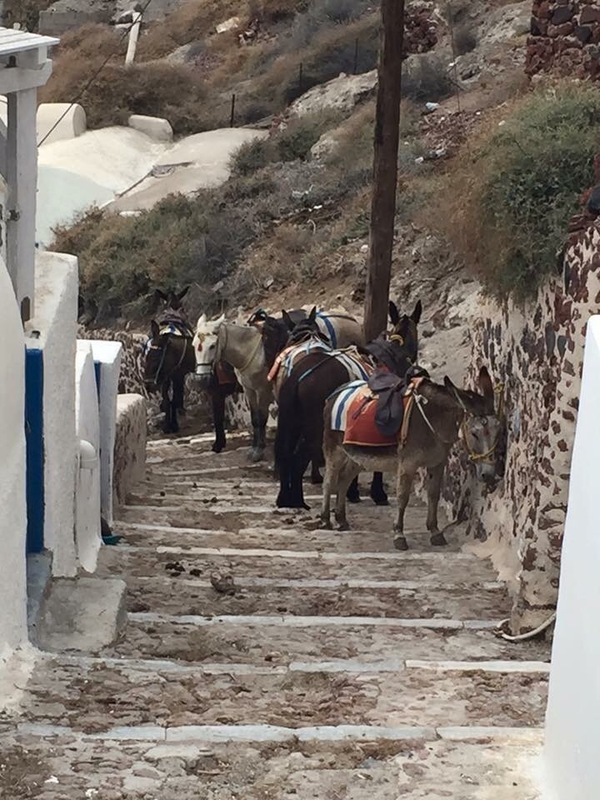 A walk down the 300 steps to Amoudi Bay for lunch and a view of the harbour, you’ll need your energy for the climb back up, unless you opt for a donkey ride (I couldn’t bring myself to put the donkey through it). 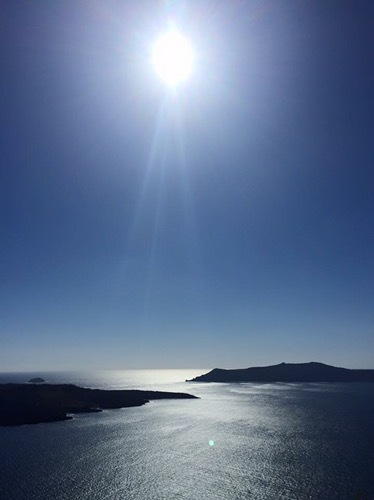 I was still feeling energetic and decided to embark on the 9km walk from Oia to Fira, if you have the time and don’t mind your legs aching a little the next day I would highly recommend this just for the views of the island and the Caldera, which no photo can ever do justice, it’s one to see in real life. 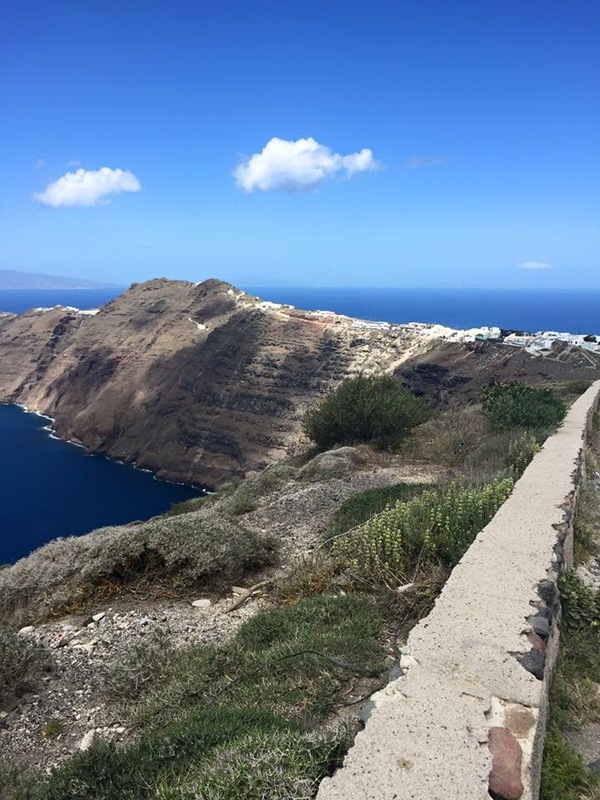 Fira has fantastic shopping and food so make sure you take your Euro’s to reward yourself after the hike, although there are ample tavernas, cafe’s and bars along the route. 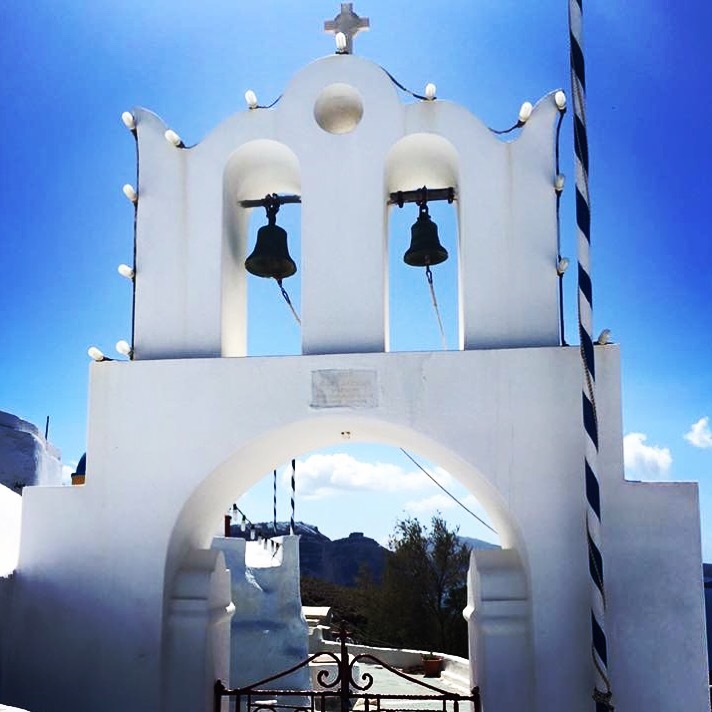 When in Fira make sure you find the cable car for more amazing views of the stunning Caldera. 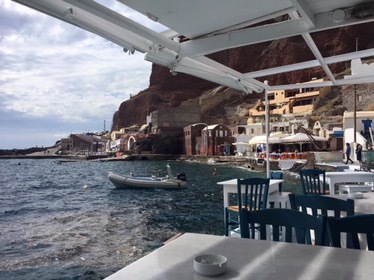 Next onto Naxos leaving Santorini by ferry, which is fun in itself, here’s where you really start to feel detached from life at home, with no international airport to take you away – bliss! 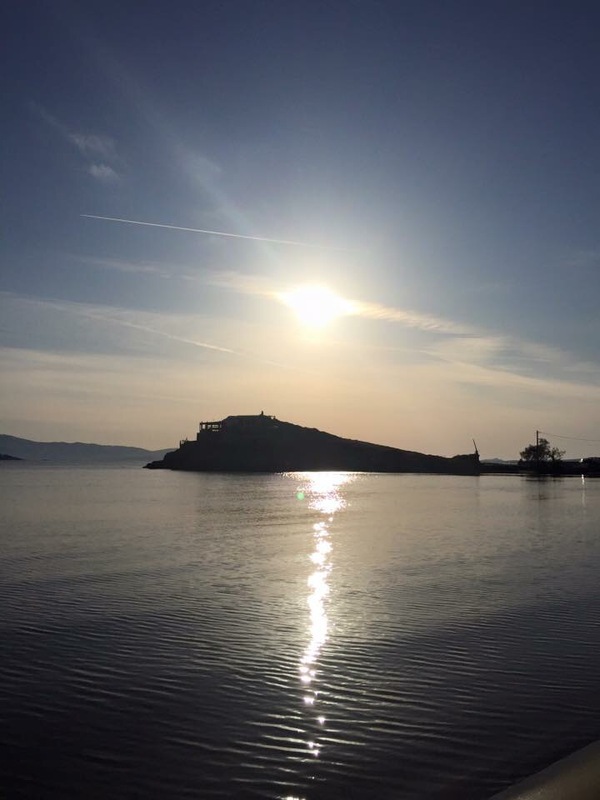 The island of Naxos is the largest in the Cyclades and the epicentre of the ferry lines that run throughout the group of islands. 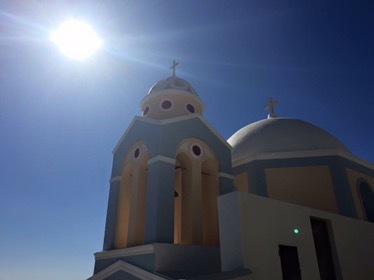 I arrived on the eve of the Greek Orthodox Easter, a blessing and a curse, as the island was lively with locals coming home to celebrate for a couple of days, however there was an entire day where everything was closed. My hotel was very close to the town centre, close enough to walk from the ferry and a stones through from the beach, which was idyllic. 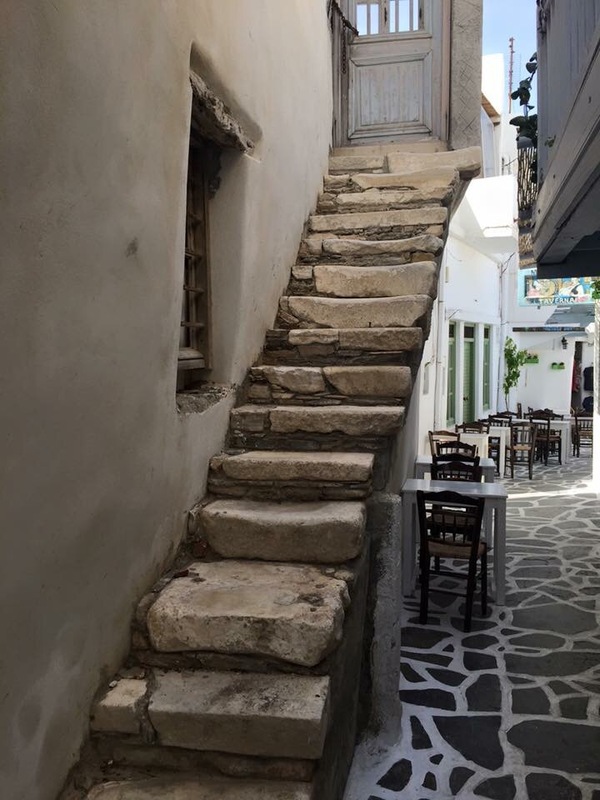 Must do’s in Naxos are to explore the Castle of Naxos (Kastro), I can’t get enough of Greece’s old towns with winding cobbled paths, white washed houses, blue and red doors and climbing Bougainvillea flowers every where – Naxos old town is no exception and you have to navigate your way through these streets to get to the castle on top of the hill. 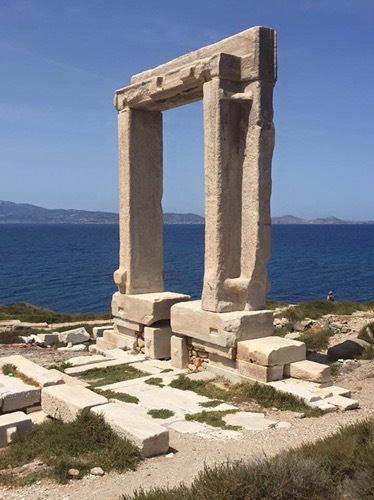 Make sure you also visit ‘Portara’ Temple of Apollo, just off shore of the town for a bit more history. 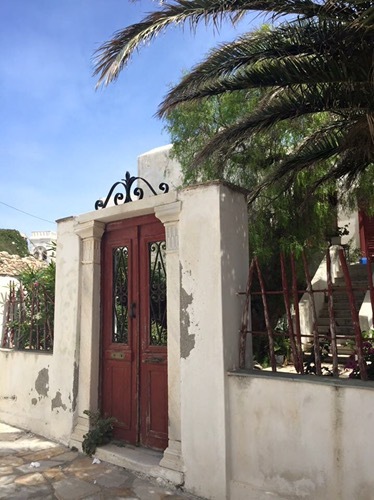 The Butterfly sanctuary was highly recommended, unfortunately for me I found it was closed after walking there, although it did give me an excuse to explore more of Naxos’s many beautiful beaches. 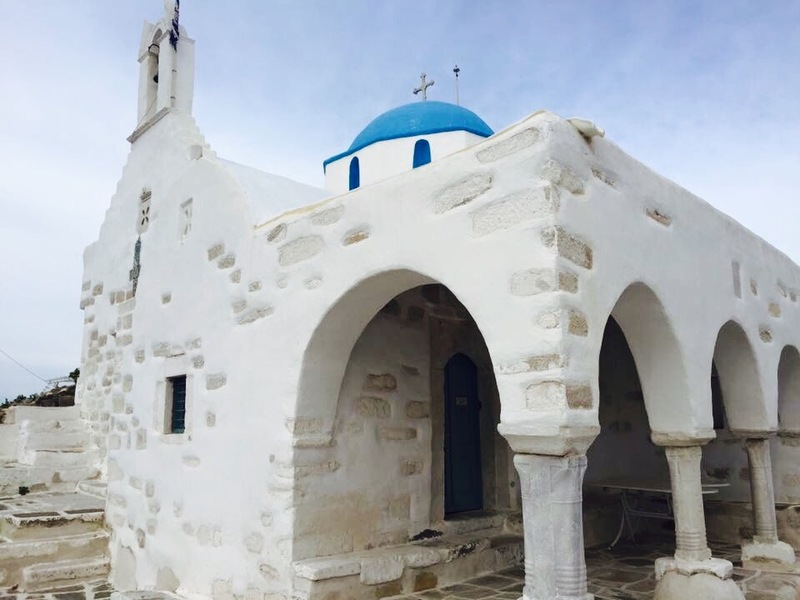 After Naxos I headed to Paros a smaller island to the west, whilst here I visited the Panayia Ekatondapiliani which translates into the ‘Church of 100 doors’ situated in the centre of Parikia, the challenge is to find all the doors – I got to around 45! 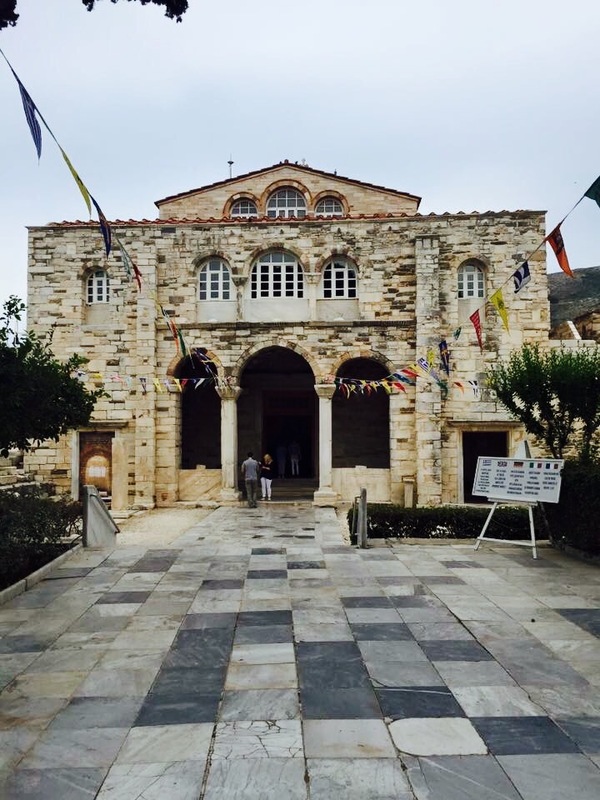 A quick bus ride to Naoussa town is well worth a trip, especially if you can’t get enough of those white washed winding paths, there are also some great shops selling beautiful souvenirs. 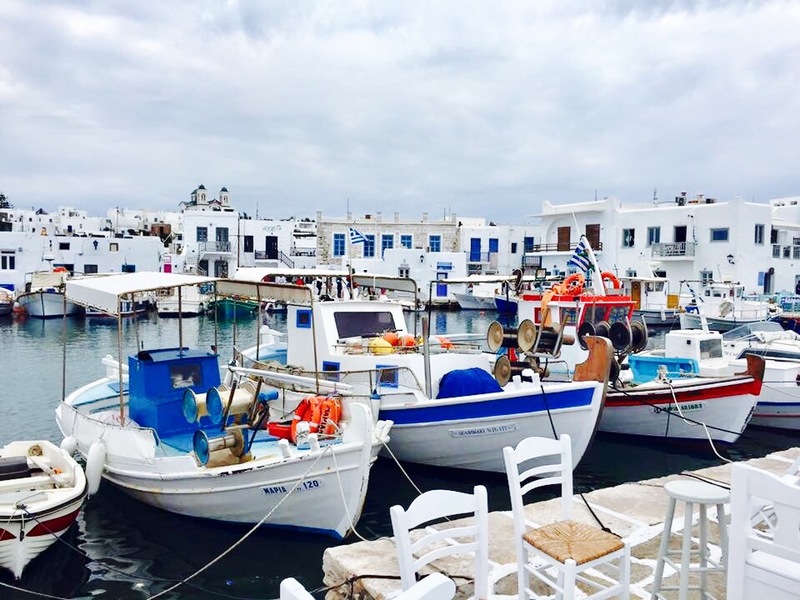 Whilst wandering around the town make sure you seek out the Old Port of Naoussa to sample some freshly caught seafood and soak up the beautiful scenery. 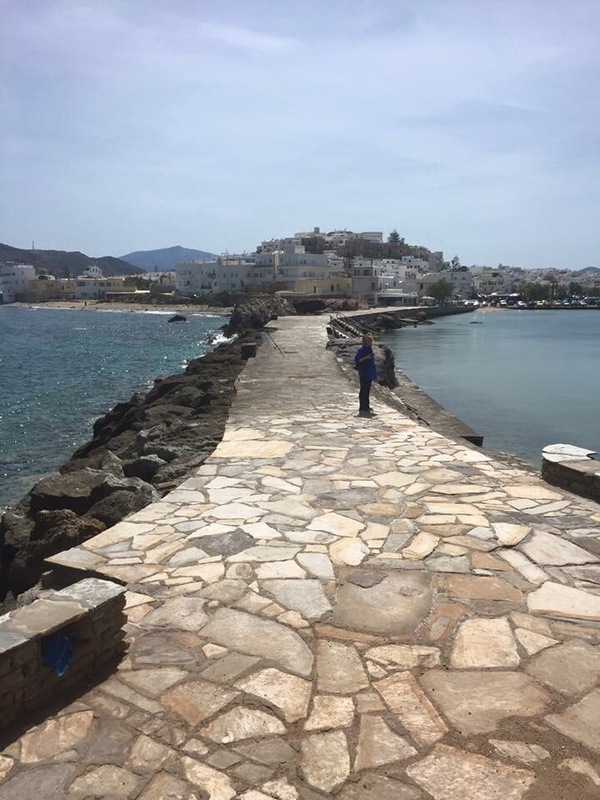 The island of Paros is possibly best know for its stunning beaches, although unfortunately for me the weather was not on my side, so I gave them a miss and hopped straight onto my next island… Mykonos. 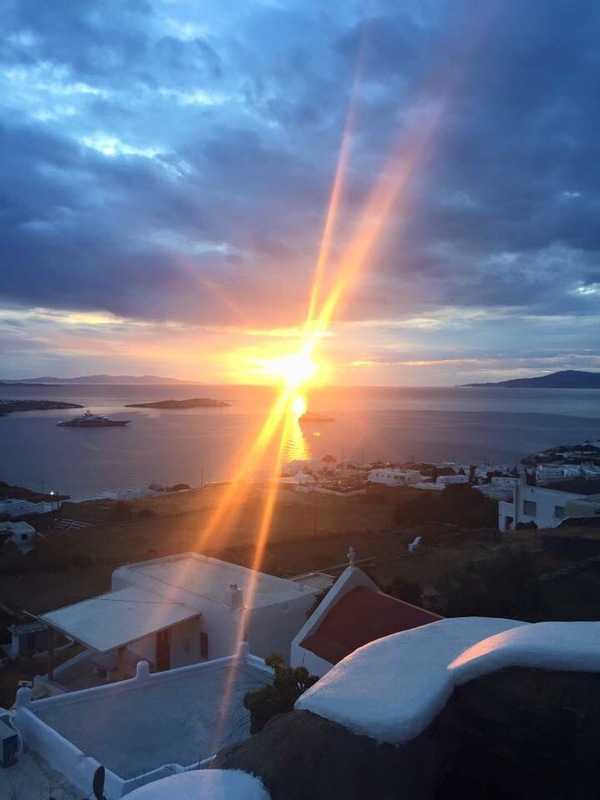 So my final island and also my favourite, Mykonos. 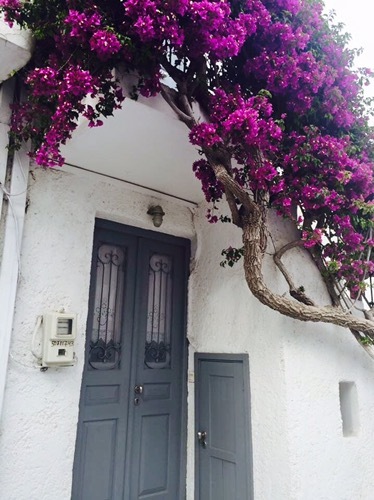 There is a certain vibe to this island which the others do not have, everything feels fresh and current, whilst also dating all the way back to the 11th century! 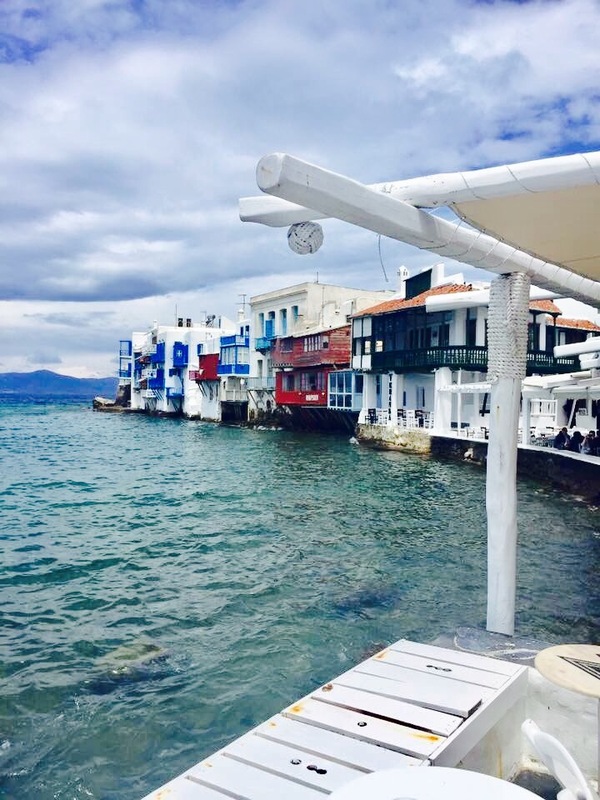 When arriving I jumped onto the bus from the ferry port where you will also see huge cruise liners moored up, after a 5 minute journey you will be in the middle of Chora, or ‘the town’ in Greek. 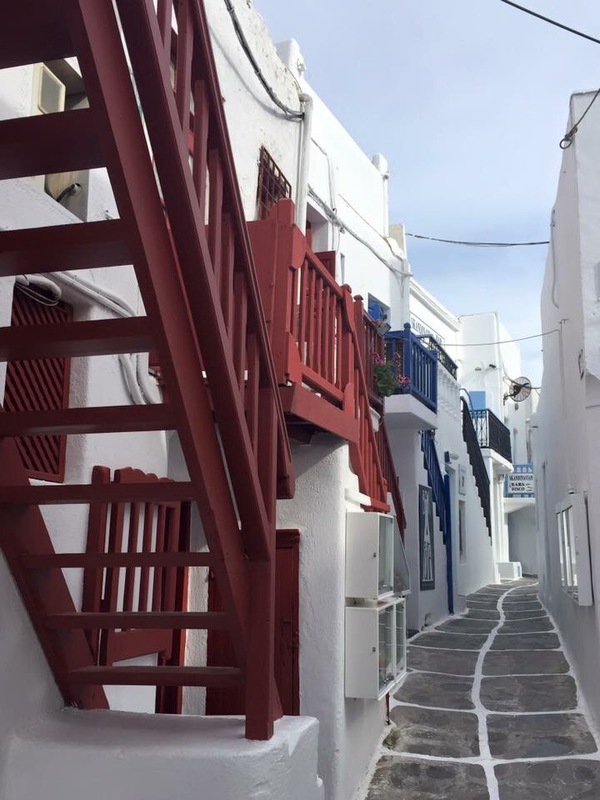 The streets in Mykonos are just like a maze, specifically designed to confuse you and the Pirates that regularly attacked Mykonos from the sea during the 16th century. 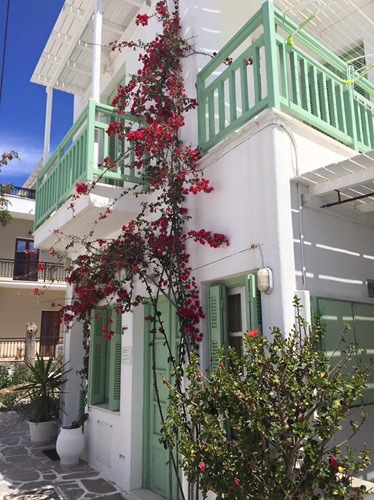 Locals would hide in the top floors of their houses and then pour hot oil or water on the Pirates as they tried to find their way through the town. 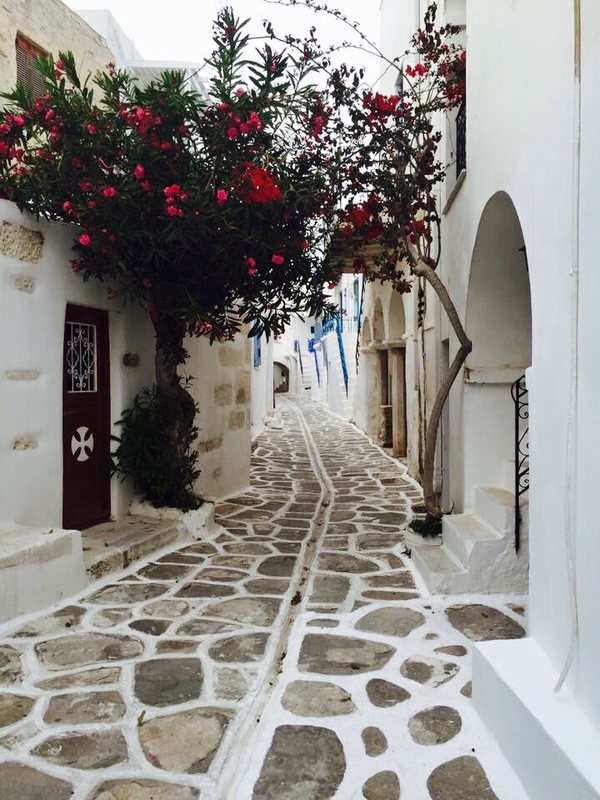 All the streets actually run parallel to the sea front, this is a good tip to help when you get lost – which you will, but that’s half the fun! 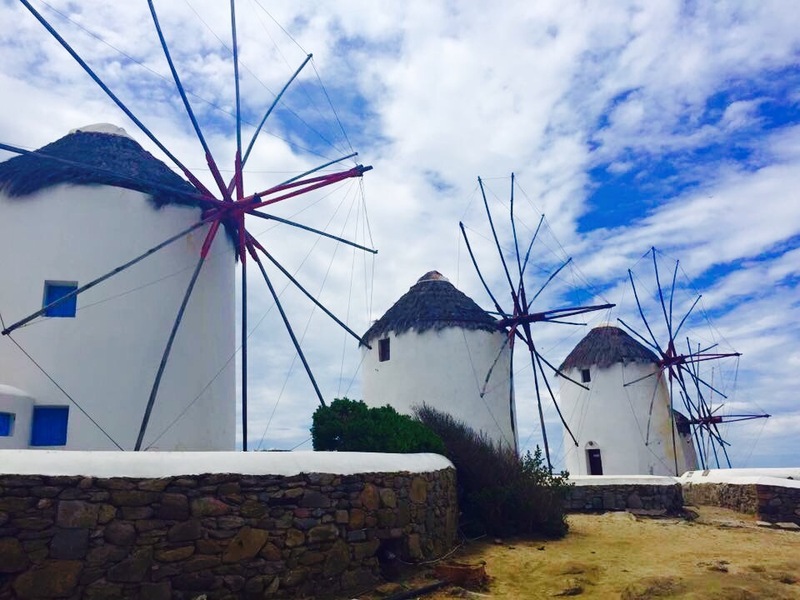 The famous windmills of Mykonos sit just along from Little Venice, a part of Chora that feels like it is is literally floating on the sea, both are well worth a visit, especially at sunset for stunning photo opp’s. 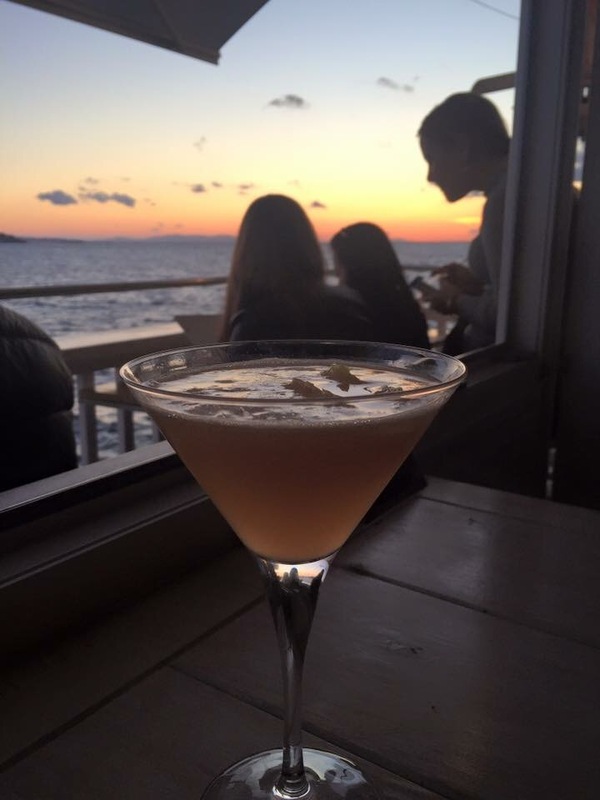 There are also some fantastic cocktail bars and restaurants here. 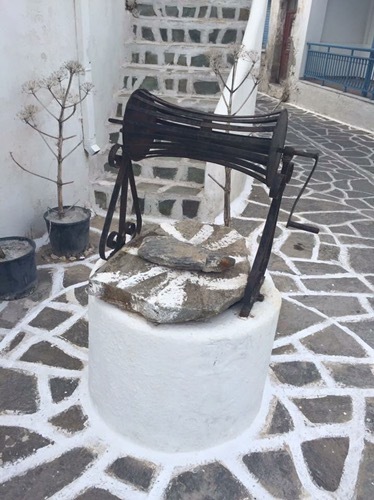 If you are lucky whilst in Mykonos you will spot Petros the Pelican, the island mascot, who arrived at the island in 1954 and lived there for 30 years before passing away, the locals grieved his death and it took Jackie Kennedy-Onassis donating another one to bring the islanders out of mourning and there started the tradition. Unfortunately didn’t catch a glimpse of him, not for lack of trying, but I was told he does exist. I also visited Ornos beach, which was featured in the film Shirley Valentine. 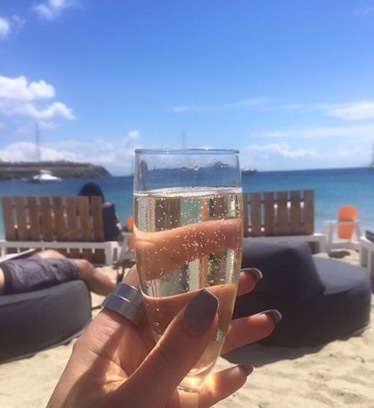 This was a little piece of luxury to end my trip with, I had amazing food brought to me on my private sun-bed and sipped on prossecco while I topped up my tan, I had done it, my first solo island hopping trip and it was spectacular! Yamas! Oh I promised you a discount code didn’t I… Follow this link; https://www.booking.com/s/sam55041 Enjoy!